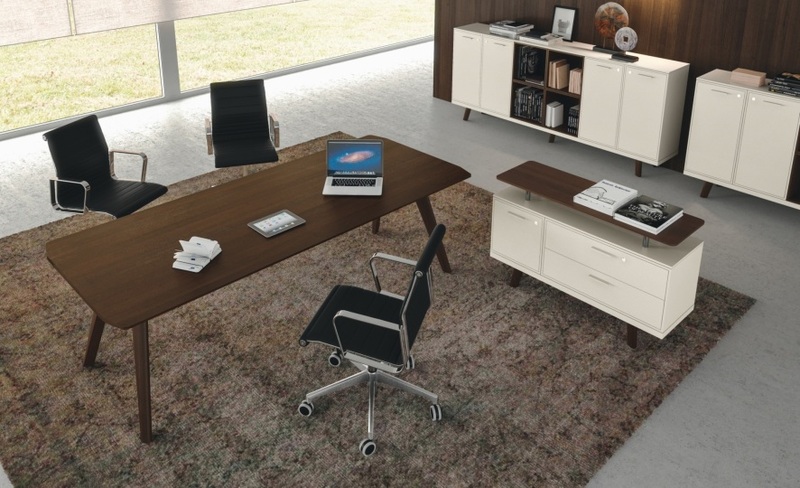 Striking Italian designed executive furniture with elegant and distinctive looks. Tops and fronts come in five of the most up to minute finishes on the market. with contrasting to matching leg and frame finishes to enhance the overall effect. 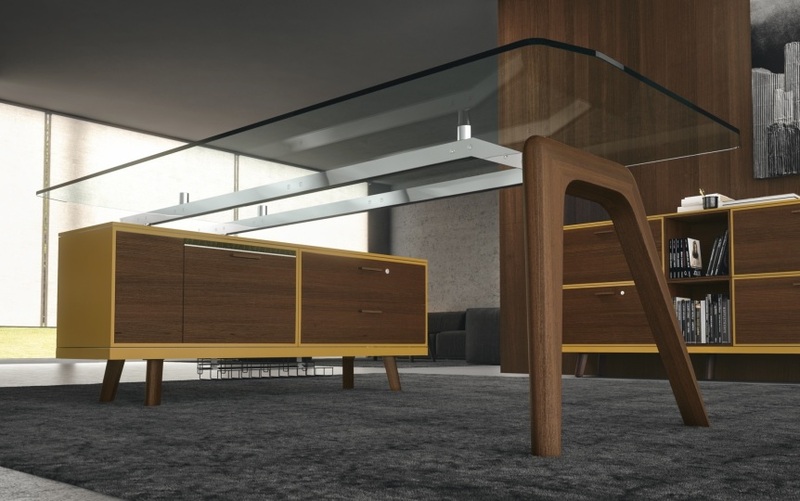 Matching and contrasting cupboards and credenzas are also available the latter can also be used to support the desk for a cost saving and convenient and space efficient storage. Further design ideas and specification data can be found on the downloadable pdf catalogue on each of the relevant product pages. Gravity is supported by our free, in house professional interior design and space planning service. Please do not hesitate to contact us with your requirement.